More under the hood updates with some UI updates: I've removed the edit buttons on the lists. Now you just click or press on the item and the editor loads up. 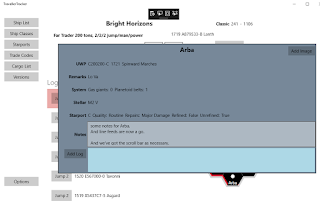 This saves a column to better fit smaller screens as well as cleaning up the UI a bit. I've also added a notes field to the world, and I may do the same for the ship, so that you can have notes that are not ship date based. I've added a generic image holder to the program but have yet to do anything with that. If I have time this weekend I would like to get an image carousel working. 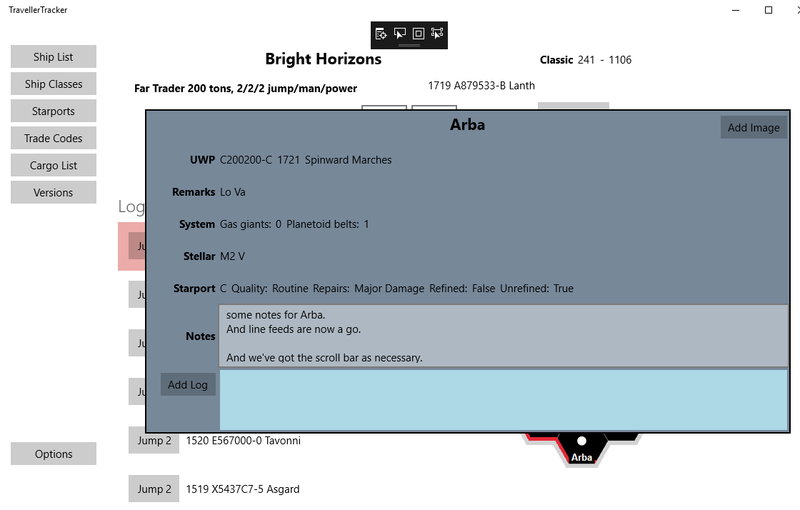 Get that done, and I can stick it on the ship tracking page and the world view control so you can add images to help invoke what things look like. I've also added light slate blue as the background color for the user controls. If I don't like that I can always change the formatting dictionary.